Space platforms around a walled moon terrain. Powerups are present for all the most salient features and settings. Good scene in which to experiment with the toolkit; Moon Motion was developed here. 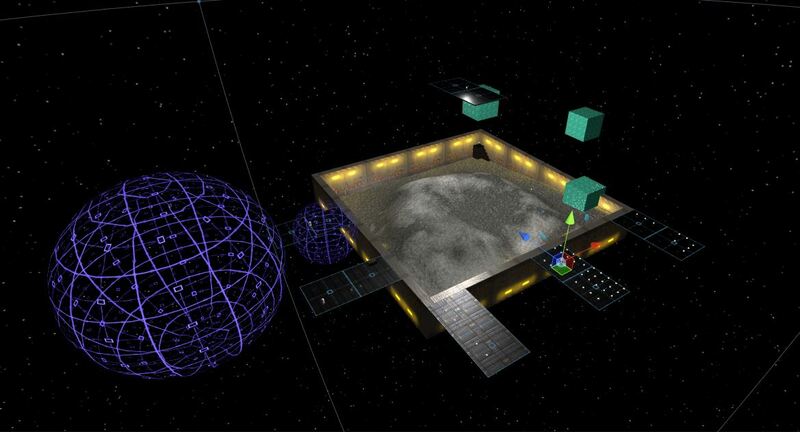 Space platforms with crates serving as obstacles. Useful for testing/demoing many of the locomotions. The Scene Fading locomotion can be used to fade the player's vision and load a scene.